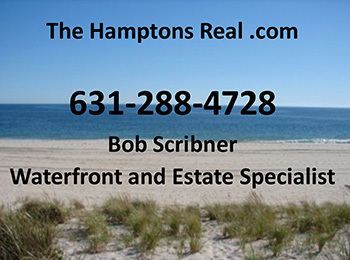 A Hamlet on the south coast of Long Island, Westhampton offers the shopping and recreation opportunities of a summer tourist hot spot with the atmosphere of a small town for permanent residents. The neighborhood is bordered by water on three sides, with Moriches Bay to the south, Beaverdam Pond and its stream to the east, and a long inlet to the west. Across the Bay, Fire Island is visible with the Atlantic Ocean beyond. Mornings feature the dazzling sunrises over Fire island that give the island its name. Westhampton itself is mostly residential, home to approximately 4,000 year-round residents. The main shopping district includes boutique shops and a nightclub. Surrounding communities of Westhampton Beach, Westhampton Dunes, Remsenburg and Quioque offer public beaches, dining and shopping. Close to the north are extensive nature parks including Long Island State Pine Barrens and Bald Hill County Park. New York City, with its unrivaled cultural and entertainment options, is just two hours west via the Long Island Expressway. An unincorporated community, shares fire and school services with other villages in the Town of Southhampton. Suffolk County Police Department provides law enforcement. Homes in this village are affordable for professionals and working families, with a median household income of just under $80,000.